You are currently browsing the tag archive for the ‘urban forest’ tag. I’ve thought about how to write about this and all I can come up with is that Marrickville is at risk of more loss as a community. We have already lost the ability to drive around the area in peak driving times and on weekends without significant gridlock and serious parking difficulties. Marrickville appears to have been marked to become another Hurstville in terms of high-rise development. We have lost employment zones to high-rise development and more is planned. We are losing what many in the community would regard as heritage houses, again to high-rise development. Despite $2 million spent on two years of community consultation to decide the Local Environmental Plan (LEP), high-rise in Marrickville is being planned outside the perimeters of the LEP. ‘Infill,’ high-rise development outside the agreed areas is already happening. When we moved to Marrickville there was a hospital and a large popular swimming pool. These are other amenities that were lost to this suburb. 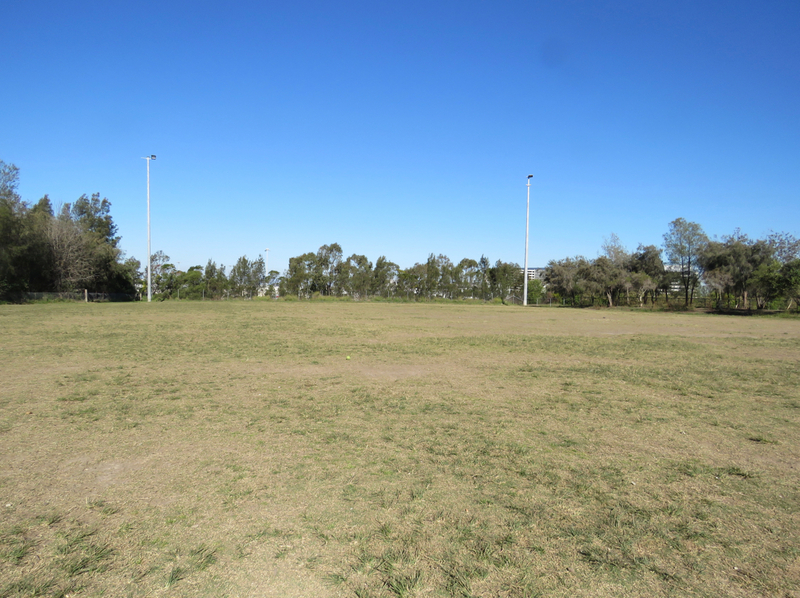 Now for the second time since I have been writing this blog, Marrickville Golf Course is being targeted by Council to either keep it as 18 holes with changes to the course or to reduce it to 9 holes so that more playing fields can be created for the young to play soccer. Am I against soccer? Absolutely not. However, I am against losing what is the most significant green space of the area and one that does an incredibly good job providing amenity and services to the community. Can it be expanded in services? Of course, and I am pretty sure the Club is keen to add to the significant amenity they provide to the community. Young people learn to play golf here as part of school curriculum. Any age can play. What I like to see continue is the patronage of older people – those who cannot run around playing soccer. I’ve been at the Marrickville Golf Club and been surprised to see the Club House filled to the brim with older men socialising after a morning playing golf. Find me somewhere else locally where this happens. A few men use the Marrickville Men’s Shed, but mostly, in my observation, retired men stay home. The Marrickville RSL, which was also lost to high-rise development, was another place where older people congregated. They went to socialise and have a hearty hot lunch, often their only real meal of the day. I don’t know of any other place in Marrickville where older people are catered for in such large numbers as the Marrickville Golf Course and this is something for our community to be proud of and hold on to. We will all grow old one day. The Marrickville Golf Course provides considerable amenity to the community and you don’t need to play golf to benefit. I know many community groups meet at the Club House. There is also live music, a restaurant serving great cheap food, trivia nights and other social functions that those in the know frequent regularly. It is not fancy, but it is a friendly and convivial place to have a meal, socialise with others and it is very important to many in the community. If the Marrickville Golf Course is reduced to 9 holes, the Club believes it will be its death knell and yet another amenity lost to the community. I’ve read arguments on Facebook that people can play golf elsewhere. The same can be said for sports on playing fields. Travel along the river and you will see that playing fields are dotted all along the river and much of the time they are empty. There is nothing wrong with keeping a golf course, but there is plenty that is wrong by chopping it in half. If I remember correctly, the Marrickville Golf Course has already lost; from a 21 hole course it was reduced to 18 holes to make the playing field at Mahoney Reserve. 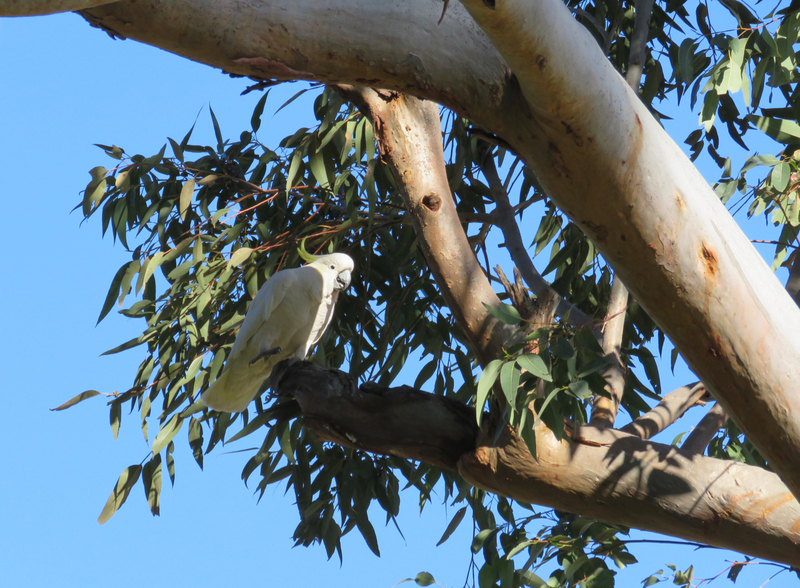 The Marrickville Golf Course is a truly significant green space and incredibly important for wildlife. This is the only place that I know where one can walk on bare earth instead of a concrete footpath. To me this is a luxury and I love doing it. It is not dangerous to do so because the walking path is out of the way of golfers. Yes, I suppose you take a risk, but I have not heard of any walker who has been hit by a stray golf ball here. We take risks every day by getting into cars and the statistic show that this is way more dangerous than walking on the edge of a golf course. Besides, Council has plans to put a concrete shared path along the river’s edge through the golf course, so they can’t be too worried about this. People come to the golf course to walk alone, with others and/or with their dog. People cycle through the golf course. The road is a great shortcut. People bird watch here. People come to learn and to play golf. People come to meet others, eat, drink, listen to music and make friends. People come for the amenity, to get out of their homes and into fresh air. People come to regain their health and to keep their health. People come because it makes them happy. People come. With over 20,000 games played every year it is not a fallow underutilised place despite what some argue. Anything that happens here should be building upon the amenity, not reducing it. Council is well aware of the need for more green space, especially as we are having a significant population increase in Marrickville. This will likely be in the areas of 31,000 more people by 2036 and with the rate of development in Marrickville, this will likely be sooner rather than later. These people will need somewhere to play and not all people need playing fields. Lastly, some say that the golf course is targeted for development. I don’t know if this is correct, but I have seen high-rise built within 10-15 metres of the river recently, so I would not be surprised if this is in future plans. Incremental loss seems to be the way things work. Being in a flood prone area does not stop development these days. I cite the plans for Carrington Road Marrickville to house 2,600 new dwellings despite being known to flood regularly when it rains. Marrickville Golf Club is holding a rally to appeal to Council to keep the golf course at 18 holes this coming Sunday and they would like community support. WHERE: At the Marrickville Golf Course, probably outside the Club House. Just head down Wharf Road and you will see people congregating. It is impossible to get lost there. 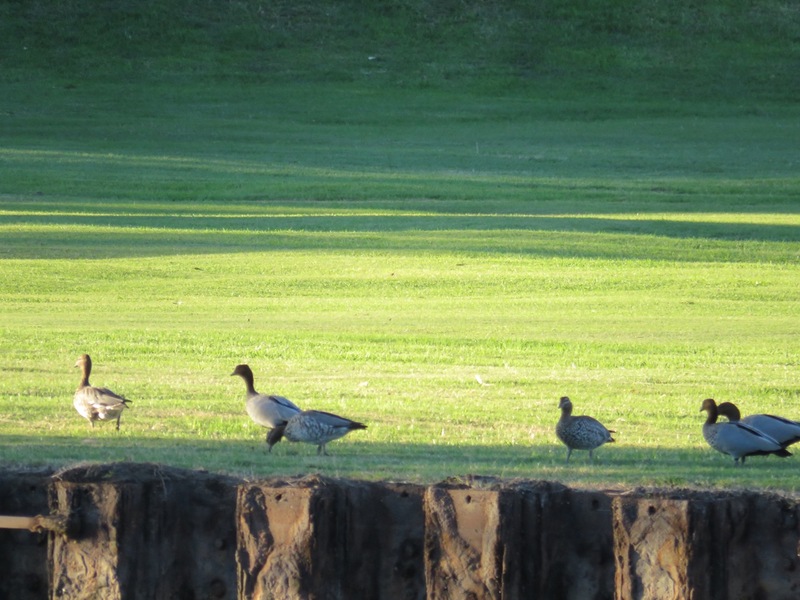 Australian Wood ducks walking along the Cooks River in Marrickville Golf Course. I was thrilled to see these. I love the protective seating around the Brushbox trees where the Markets are held. The footpaths are new too. I recently visited the Addison Road Centre in Marrickville. As soon as I drove in I noticed the lovely big gates. Are they new? I think they are, but I could be wrong. I don’t know whether the gates are new or not because my eyes are always drawn to the gorgeous gum tree at the front that is around 155-years-old. Until relatively recently the area around the tree would have skips or other things waiting for collection. Then the area was cleaned up & since then, not used for storage. The gate is set well back from the tree, so the base is left free, which is a good for the health of the tree. Once I drove into the Centre I could see that there have been big changes. 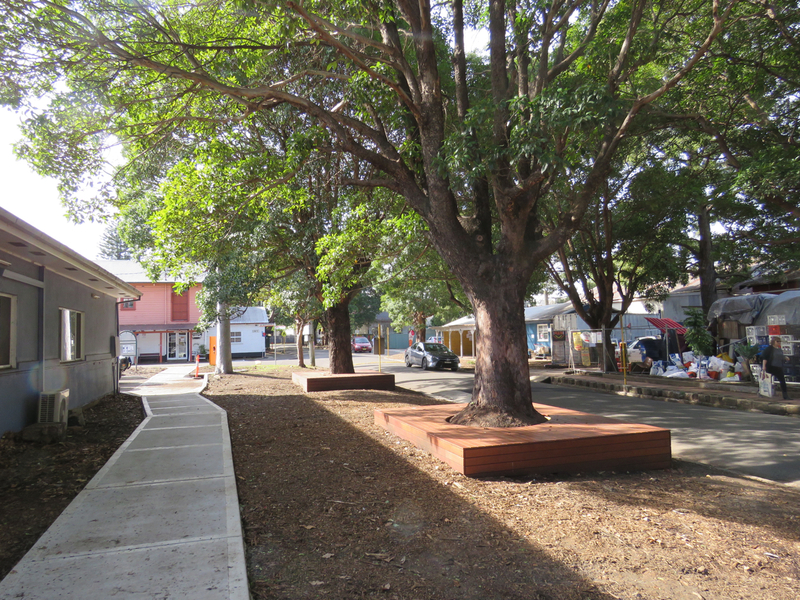 The one I am most excited about is that the four old Queensland Brushbox trees that line the road opposite Reverse Garbage have been protected by a wooden seating structure that encases each trunk & protects the root zone directly around the tree. The weekly markets have stalls set up beside & around these trees. Around 5,000 people attend the markets every weekend & while most people walk on the road, a lot walk in the mulched area around these trees. I have often wished these trees were protected, so I think this is an excellent move by the Centre. Plus, these structures provide seating in the shade & that is always a boon in my opinion. Footpaths have been installed in most of the areas beside the roads to facilitate safer pedestrian access. Street signs have also been installed. I only saw one sign called Vivi Koutsounadis on the road outside Reverse Garbage & Movember Lane on the road outside Stirrup Gallery. I think it is nice to honour local citizens who have done much for the community. 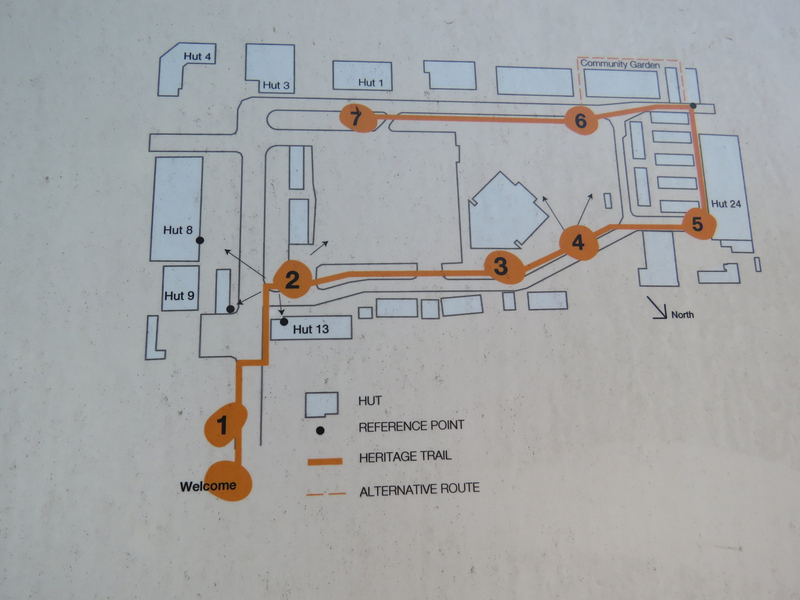 Heritage trail signs have been placed around the Centre grounds. Most of us know that there is history to the Addison Road Centre, but I imagine that many of us do not know a great deal of this history. I confess I am one of those people. You can participate in a free guided tour every Friday morning starting at 10 am, except holidays. The tours start at the front gates & last 45 minutes. 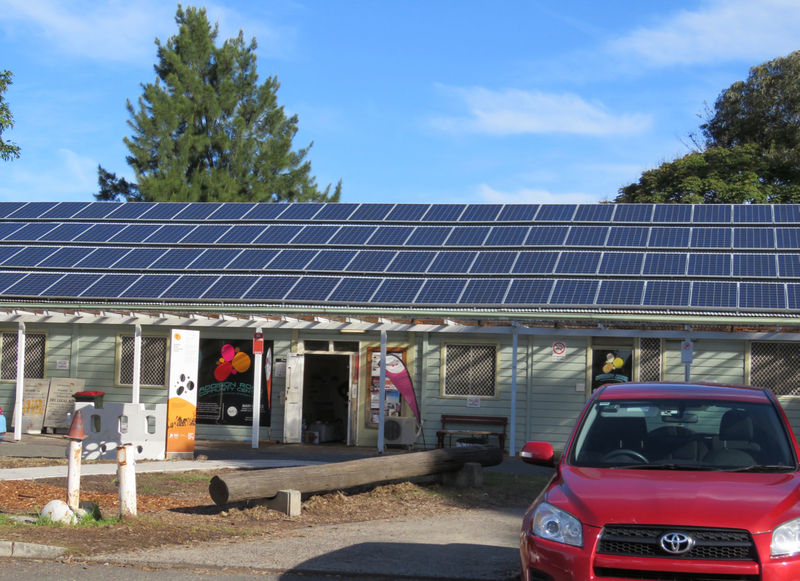 Hut 1, the long building between the Marrickville Community Garden & The Bower, is now covered with solar panels. It looks very impressive. The area beneath the habitat tree now has 4 new trees. If allowed to grow tall, these will help by screening & making the wildlife that use the habitat tree feel safer. The Centre has placed good information about the habitat tree at the base & this has been in place for quite a while now. Two sculptures have been added to add interest. The garden created for little birds is doing well. It is opposite The Bower for those interested in having a look. I am impressed by the Addison Road Centre’s obvious commitment to retaining their trees. To me it is the trees that make this a place that is very pleasant to be & it is the trees that I notice first. That is a lot of solar panels. New garden and trees around the Habitat Tree. There are lots of significant trees in Camperdown Park. 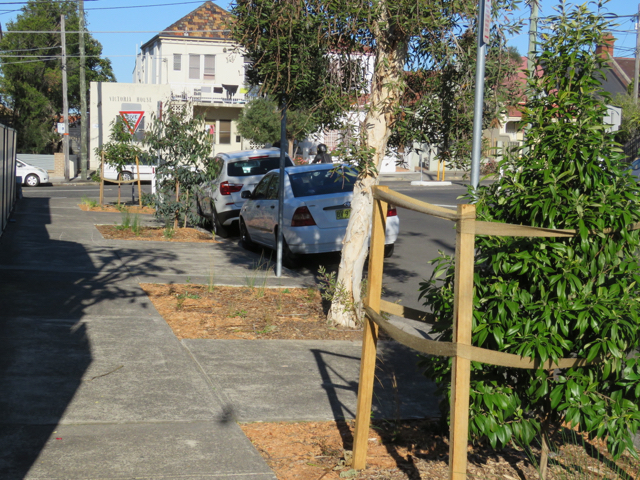 You can just see on the bottom left an attractive wooden raised walkway installed by Marrickville Council to protect the roots and the ground around the tree from compaction. I received the following email from a local resident, which was sent to Inner West Council. The email is about adding a Significant Tree Register to the upcoming Tree DCP Amendment. 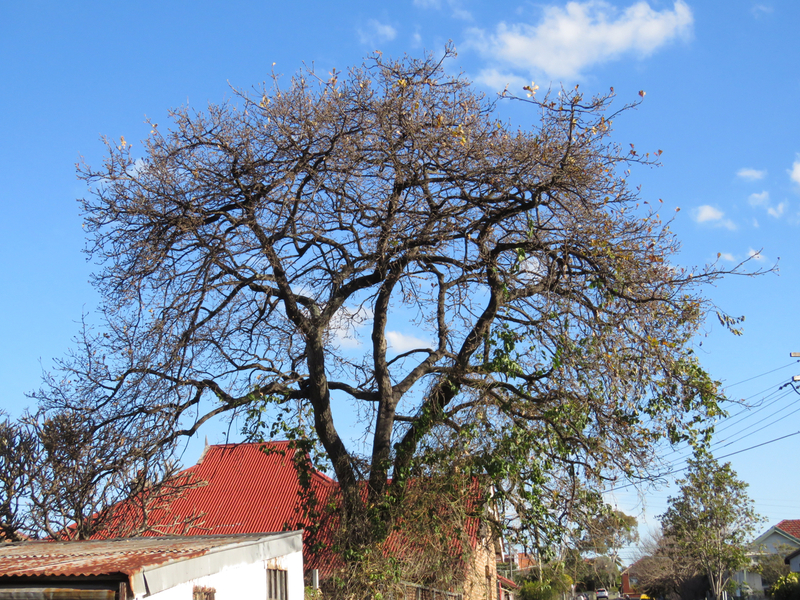 To establish a Significant Tree Register to protect and celebrate our local heritage. “Significant trees are integral components of an ever-changing landscape through their dynamic cycle of growth, maturity, ageing, senescence and renewal. They reflect the patterns and processes which have shaped our natural and urban environments over time. They may represent the last vestiges of former natural or cultural landscapes – symbols of our environmental, social and economic histories. Significant trees are inextricably linked to the quality and identity of ‘place’. Many councils in Sydney have a Significant Tree Register. Blacktown City Council, at its ordinary meeting of 30th January 1985, resolved that a Register of Significant Trees be established in recognition of the need to preserve and enhance the unique qualities of the Blacktown Local Government Area (LGA), particularly those contributing to its rich environmental heritage. That’s right. 33 years ago! 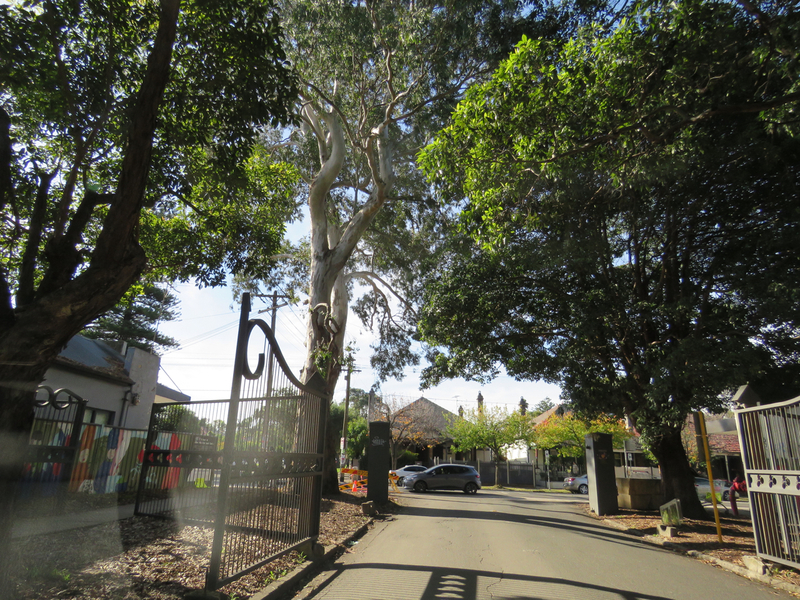 On the 22nd October 2009, the Saving Our Trees blog asked Marrickville Council to establish a Significant Tree Register. 9 years on we are still waiting………..
Why are we still waiting? Why doesn’t the Inner West Council recognise the importance of trees with unique historic, cultural or botanical values by establishing a Significant Tree Register? 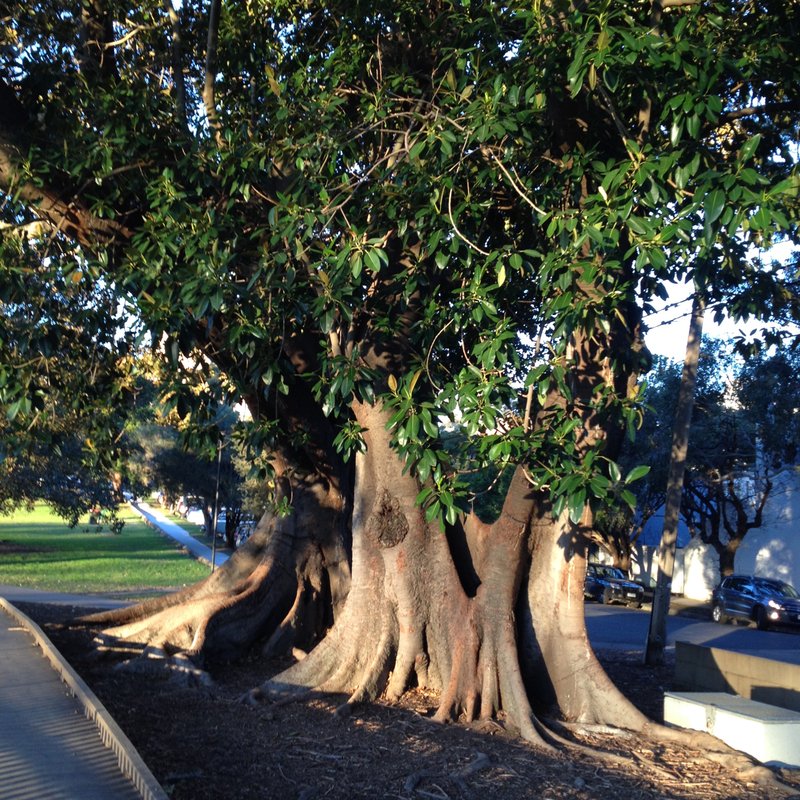 The City of Sydney Significant Tree Register has a total of 2,674 trees from 157 properties are listed in the latest Register of Significant Trees. These trees were selected on the basis of their historical, cultural, social, ecological or outstanding visual and aesthetic appeal. Can we please protect our significant trees before they are lost forever? I could not agree more. With development happening at a rapid rate, we are losing many trees. A few of these may be very important trees, but we, the community, do not know. We need to protect significant trees. The Inner West Council needs to take our urban forest seriously & not delay adding a Significant Tree Register (for both public & private trees) to this upcoming DCP Amendment. It does not matter that significant trees are protected under current DCPs. What matters is there is no public declaration of significant trees in the area. It is about knowing about the existence of significant trees. Why would other local councils have a Significant Tree Register if there was no reason for doing so? Significant trees are an essential part of a localities history & the community want to know about them. Other local councils are being much more proactive regarding protecting & celebrating important trees in their locality. The Inner West Council needs to get with the times & take this small step forward. The community will respect them for doing this. The deadline is this coming Friday 14thSeptember 2018. Participating will not take long. Concrete removed and new street trees in Calvert Street. You can see two other new trees across the road. Today I went back on my bicycle to have a closer look & was pleased with what I saw. 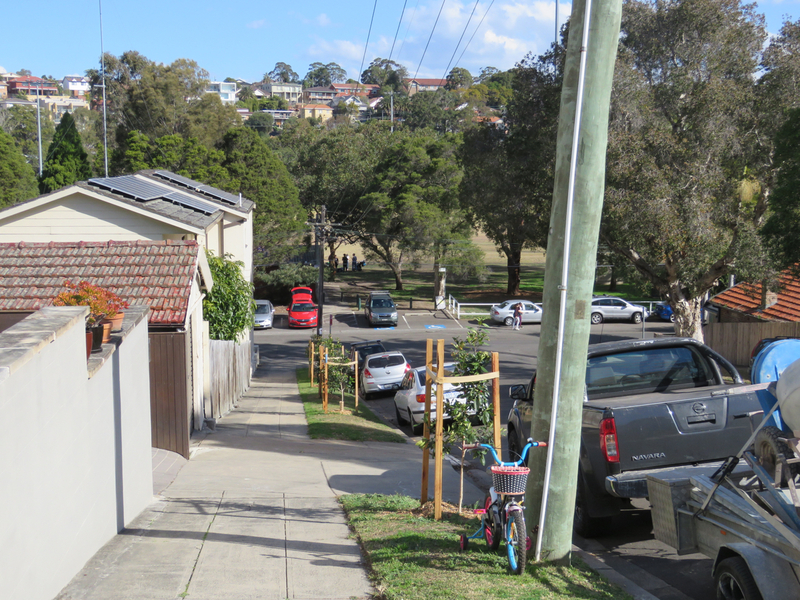 Inner West Council has depaved sections of the footpath on both sides of the street & planted street trees in places where there were none for at least two decades, but likely much longer. 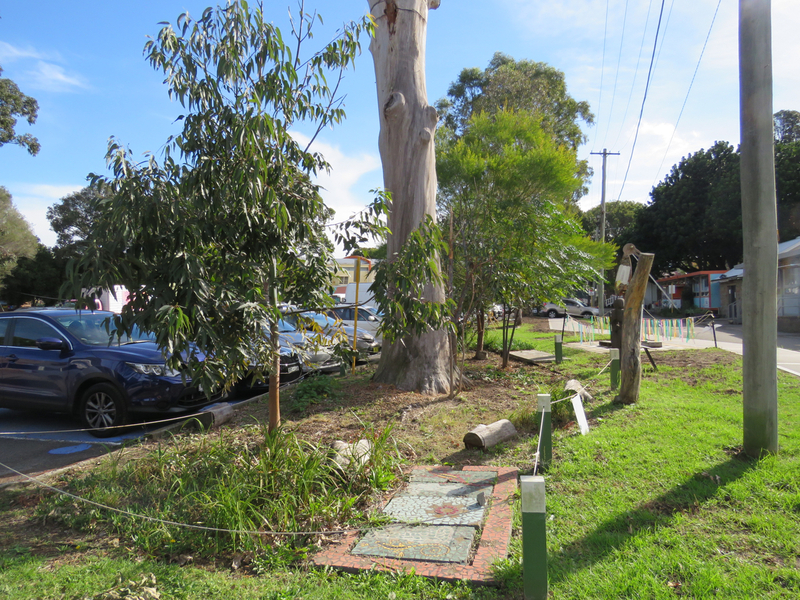 Council planted 27-28 new trees to fill in gaps & to add in places where they tend to leave empty. Calvert Street looks so much better for these new trees. In 7-10 years, the residents will be really benefiting from the greening of their street. The community will also benefit as Calvert Street will be much more pleasant for pedestrians. Being a street off ‘Town Centre,’ plenty of people walk this street to get to & from the shops. New street tree plantings in Calvert Street have a history of being vandalised, so I am very pleased that Council did not capitulate to the vandal & continued to plant street trees. None of the new trees have been vandalised that I could see, so perhaps the vandal has given up, got educated, developed a social conscience or moved on. Any of these is a win for the community. There seems to be a change this year in where trees are being planted & with the density of planting, which I think is wonderful. If the Inner West Council’s plan is to plant all our streets like this our urban forest canopy will increase & so will this community’s health & quality of life. There will be less respiratory diseases, such as asthma & less heart disease with fatal heart attack. Trees help lower stress & help depressed people feel happier. Trees also lower crime rates, lower noise pollution, act as a wind buffer & help catch stormwater. Powerbills should drop significantly, as will the urban heat island effect. Trees also sequester CO2 making them a vital component in mitigating climate change. These are just some of the benefits trees provide for residents. There is no doubt that trees make streets nicer & healthier places to live. Shade is a valuable amenity these days. New trees wherever there is a space. Also depaving and plants added around the trees. This always improves a streetscape. Even adding more trees in areas where in the past, one was seen to be enough. Great to see so much concrete removed too. New trees for Tempe Park – all native species, so food for wildlife. A longer view. Shadow of a picnic kiosk on the left. The foreground is gravel. I’ve always known this as Tempe Dog’s Park, but on google maps it is Tempe Park. It is the one on the hill beside the Tempe Golf Range & Maritime Container Services. It is a great place for photographers to get a photo of stacked shipping containers with airplanes flying overhead – at least I think so. Add a dog or two & it becomes really interesting. 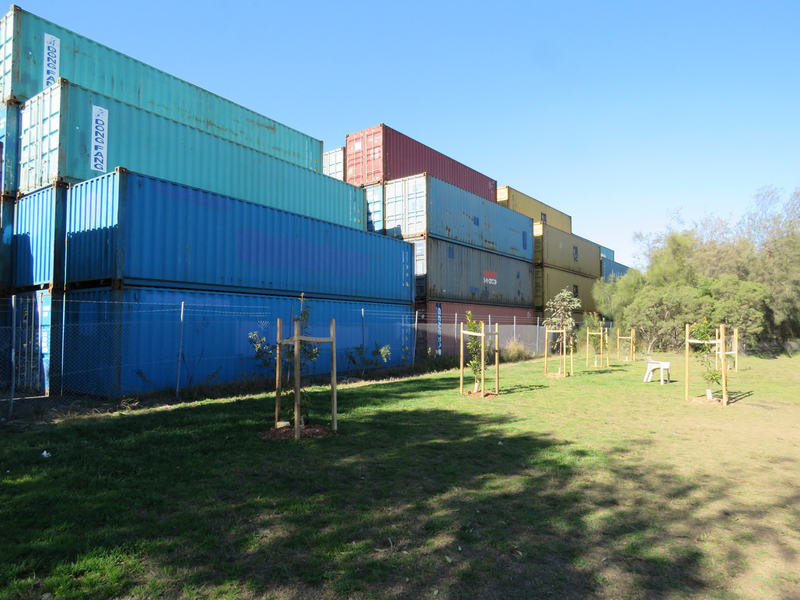 This park is in dire need of trees in my opinion, so it was great to see 7 new trees planted next to & close to the container area. I hope Inner West Council decide to plant more trees here in the future. I think it would be good to have some trees in the middle of the park to add beauty & also provide shade for the park users. All other trees there apart from the seven new trees are behind wire fences & not really providing much amenity for the users of this park. Anyway, it is great. The new trees once grown will provide a nice shady place where you could have a picnic & allow your dog/s to run around & play. Almost all of Tempe Park. It could do with some trees inside the perimeter of the park and in the centre. Showing a line of new trees planted towards the end of Livingstone Road. From nothing to leafy will be really nice. I also love that the owners of the two trees on the left made modifications to their fence to allow them to keep the trees. I am impressed to see so many newly planted street trees being planted to actually fill in streets, where previously the number of street trees remained stationary for many years. It looks good to see street trees planted closer together. Unless they are badly or over-pruned, the density of planting will also create decent shade once these trees grow larger & shade is much needed on our streets. 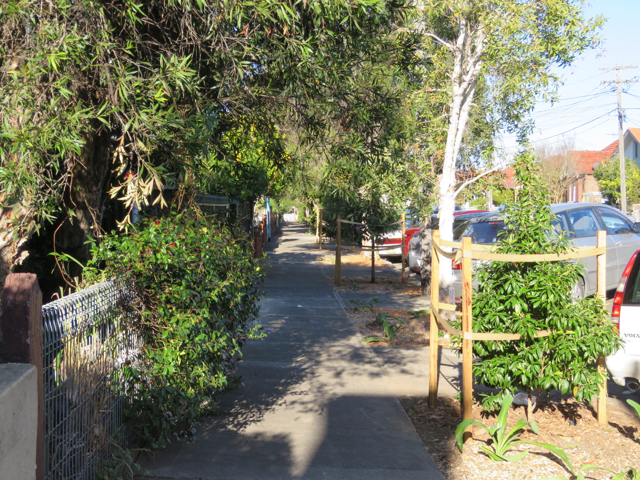 Livingstone Road Marrickville South is not one of the streets that I felt was desperately short of street trees. While I consider there are very few streets in the overall percentage in our area that don’t need at least one tree, Livingstone Road has a good number of taller trees & a relatedly good canopy when compared with other streets. 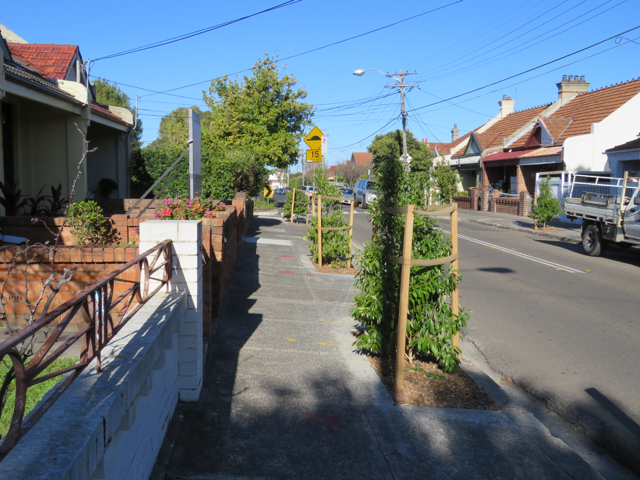 Therefore, I was really pleased to see that the Inner West Council has planted new street trees much closer together, every 5-7 metres or so depending on conditions like driveways. I was also pleased to find a tag stapled to a stake that told me these new trees are Luscious® Tristaniopsis laurina. This tree is an Australian native that is similar in appearance to a Magnolia, which is a very popular tree, so people should like it. It grows to 7–12 metres tall & 5 metres wide at maturity, though this cannot be taken as a given due to growing conditions & importantly, pruning practices. The leaves are large dark green & shiny with red or copper-coloured new growth. The bark is a port wine colour that peels to reveal a cream colour. Yellow sweetly perfumed flowers are produced in summer attracting bees, butterflies & other insects. It seems that wherever I drive I see new trees & this is a change from previous years when I started being observant of these things. Thank you Council. Further down Livingstone Road. What a positive impact these will make when grown. Be part of planting for the wildlife and to make spaces beautiful for the community to enjoy. National Tree Day is almost upon us. 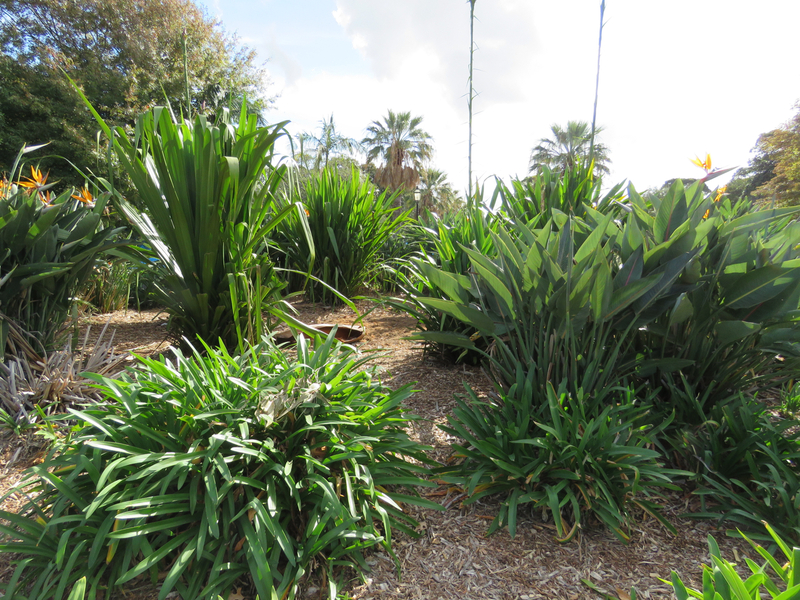 Inner West Council is holding a planting event at three sites. The site in our area is Tempe Reserve. Council do not say where in Tempe Reserve, but I am sure there will be signs directing you where to go. Council asks that you wear closed shoes & bring bottled water & a hat. Tools will be supplied by Council. WHERE: Tempe Reserve – Holbeach Avenue Tempe. One good thing is that the planting at each site is happening on different dates, so if you are super keen, you could go to all three. WHERE: Richard Murden Reserve – Hawthorne Parade Haberfield. WHERE: Whites Creek Valley Park – White Street Annandale. WHEN: Sunday 29th July 2018. 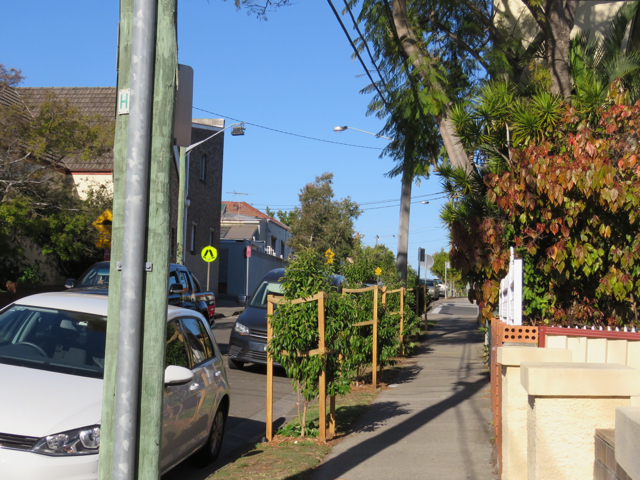 This is the third year that Inner West Council are giving away free trees, but not how many. They said in this year’s media release that they gave away 300 trees last year. That is great to know. The trees are in large pots, but do need to be planted in the ground. All trees on offer are Australian natives, which is wonderful as they will supply food for our wildlife. The trees grow to small, medium & large stature allowing you to choose one suitable for your garden. You will need to go to Rozelle Bay Community Nursery to collect your free tree. Bring proof of address, as this offer is only available to Inner West Council residents. There is a limit of one tree per household. WHERE: Rozelle Bay Community Nursery – Wisdom Street Annandale. I love this oak tree that lives in a Marrickville back garden. The owner planted it 80 plus years ago and the whole family loves it. It is bare for winter, but come spring, the wonderful vibrant green eaves transform this tree and the surrounding neighbourhood. I am back. I disappeared for a while. My husband was in hospital twice & it has been a hectic time. Lots has happened locally, but I did not have the time to focus. He is home now, so now I can concentrate on trees & the local environment again. Thanks to all who continued to come to see if I had written anything. The Mayor says that the state government has changed the law to prevent Councillors from voting on tree applications “so officers who make the decisions have a lot of power.” I presume this refers to Council Officers. I always thought the Councillors had a lot of power to decide the fate of trees in the municipality. I saw that if they were not tree-people, there was very little chance of them voting to retain a tree that was on the agenda of council meetings. In this Facebook post Mayor Byrne repeatedly refers to replacing the trees & says he wants to increase the urban canopy. This is good. Saving Our Trees blog does not focus on private trees. Public trees are more than enough work for one person to concentrate on. I have always felt sorry for residents who have spoken to me about problem trees on their property & how hard it is to get permission to remove them. It is a difficult subject because most of the ground to create a viable urban forest is private land. The NSW government created the 10/50 Vegetation Clearing Code in 2014. This Code allowed landowners to chop down trees on their property within 10-metres of a home & clear underlying vegetation such as shrubs on their property within 50-metres of their home, without a permit. As a result, many of the leafy suburbs in Sydney lost a great percentage of their urban forest. Many of the trees removed were significant, both in terms of visibility & were landmark trees & in providing homes & food for wildlife. Trees removed were often not within the permitted area for tree removal. There was an uproar in the community, the NSW Liberal government knew what was happening & gave notice of 18-months before they would change this law. As a result, there was a rush to get trees chopped down. Pittwater Council, Manly Council & Warringah Council fought the 10/50 Vegetation Clearing Entitlement Code to prevent further tree loss, as they believed trees were being removed to make way for development, to enhance views, especially water views & that many trees were not being removed because they presented a fire risk. I think this period of time showed that people will remove trees when they get the opportunity & there are many in Sydney who dislike trees. This is of huge concern with rising temperatures due to climate change. Wildlife is already in serious trouble because of a lack of habitat & food. We need a culture change in the way we regard trees. I restate that I do believe that some trees are not appropriate for the spaces they have been planted, but I also believe this needs to be decided by Council. So, I hope if the Mayor’s planned changes get through, that our community does not further decimate what is in reality a poor urban forest. I also have concerns about what tree species will replace what is removed. If you remove a gum tree & replace with a Crepe Myrtle for example. I feel the same about the species choices for public trees as well. I hope that Council insists that replacement trees offer amenity & help wildlife. Labeling trees as ‘dangerous’ is also a problem. Yes, people do get hurt or killed by trees, but it is a very small percentage. Yet every day we get into cars & the statistics for people getting hurt or killed by vehicles is massive. We ignore that & focus on trees. Trees are useful to us. They provide shade & oxygen for us to breathe. They clean the air of pollution, especially particulate matter from vehicles. A view of trees helps kids learn & all of us recover faster from illness. To be amongst trees makes us feel peaceful & helps lift depression & calms anxiety. Trees sequester carbon & help mitigate climate change. One tree can cool the air as much as ten residential air conditioners operating 20-hours a day & they do this silently & without using electricity. Trees drop the cost of power, act as wind breaks & block off sound. They also reduce storm water runoff, slow down cars & lower crime. Shopping areas with lots of leafy trees have been shown to increase shopper spending by 11%. They also raise property values, so there is a monetary reason to keep them & a monetary benefit to plant them. Trees are great. They keep us alive, keep us feeling good & work to improve our health. Living in an area with few trees mean that the beauty that trees provide is not present. Streets are also hot & birdsong is sparse. Even if you think it is okay to be without trees, you are actually missing out on many proven benefits to your mental, emotional & physical health. 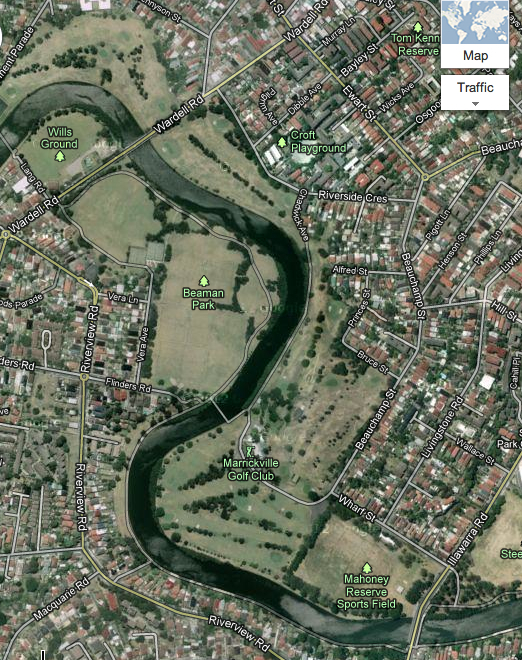 Google map of Marrickville Golf Course. Mahoney Reserve is at the bottom right of the map. This is important community consultation & something we should all participate in even if we are not a golfer. As our area gets more developed, places like this & the Golf Club’s activities are going to become even more important for the community. 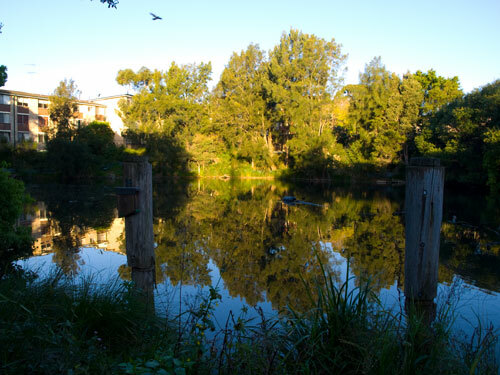 The Inner West Council is developing a new Plan of Management & landscape Master Plans for the Marrickville Golf Course & the Dibble Avenue Waterhole, which will decide the future use & facilities over the next 10-years. It must be easier for Council to do things over a ten-year period, but for me, I worry about this length of time because our community & area is changing so rapidly. Marrickville Golf Course covers 20-hectares, most of which is owned by the Inner West Council. The Marrickville Golf Club leases the land from Council. A condition of the lease is that they provide public access to the open spaces of the golf course. 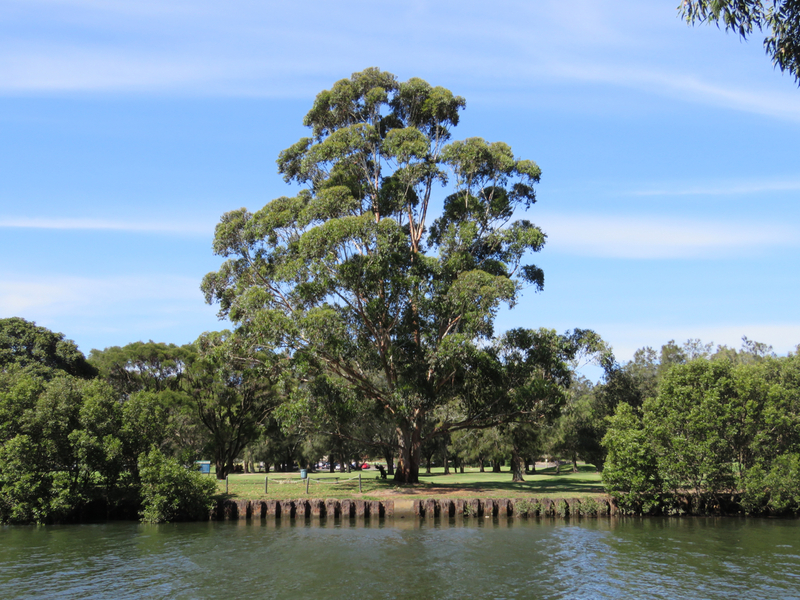 There are many in the community that avail themselves of walking or cycling through the golf course because it is one of the best natural areas in the locality, especially as it runs alongside the Cooks River. Apart from the main road in & the path to the bridge over the river, there is no concrete & this makes it a great place to walk. This won’t last for too long though because as part of their ‘Cooks River Parklands Plan of Management & Master Plan’ that was ratified in 2016, Council wants to install a new pedestrian crossing on Illawarra Road from Steel Park to a new 3-metre wide concrete shared pathway along the river’s edge in Mahoiney Reserve after they have completed naturalization work on the river bank. 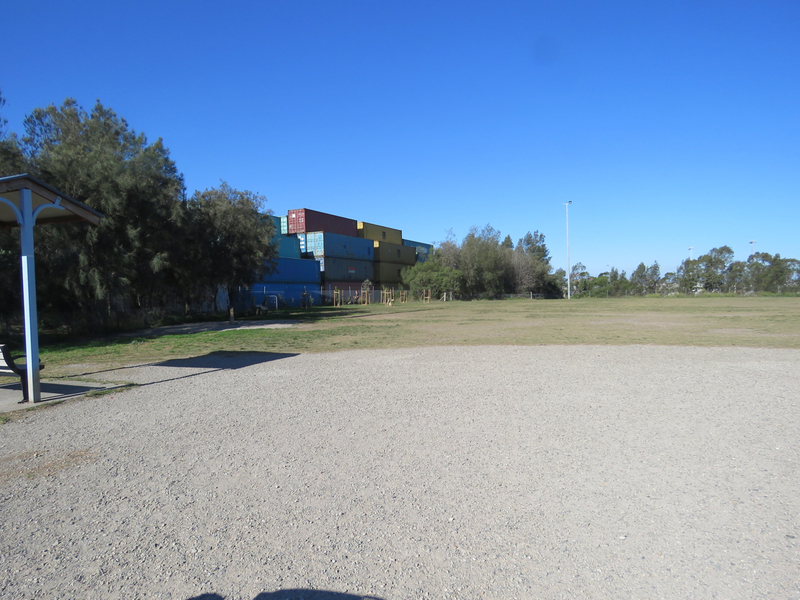 The first stage will stop at the golf course, but Council would like to connect this path to the bridge over the Cooks River in Marrickville Golf Course. This is despite the 3-metre shared pathway just across on the other side of the river. The Dibble Avenue Waterhole is heritage listed & is also a Priority Biodiversity Site. It is an important refuge for wildlife & aquatic plants. Marrickville Golf Club uses water from the Dibble Avenue Waterhole to irrigate the golf course & has done so since the 1940s. ways to improve safe public access to the golf course. ways to increase everyone’s enjoyment of the spaces. alternative water sources for the golf course. Council is holding onsite opportunities for the community to learn more & give Council feedback at two locations. Marrickville Golf Club Carpark on Saturday 2ndJune 2018 from 1pm-3pm. Mahoney Reserve beside the Amenities Block on Saturday, 16thJune 2018 from 1pm-3pm. 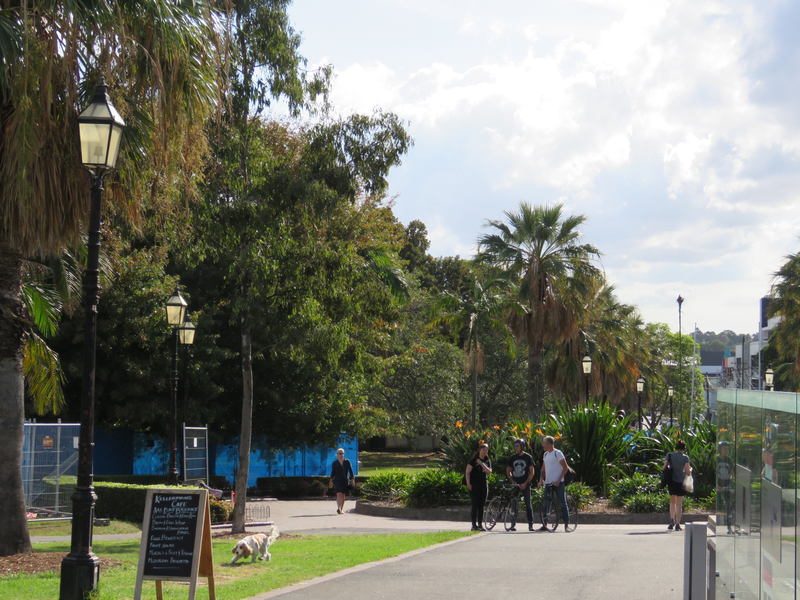 Dibble Avenue Waterhole – a biodiversity hotspot & returned to being one of Marrickville’s really beautiful historic places. There is a microbat box on the pier on the left. Showing the row of palm trees opposite the pool. Note the gum tree closest to the right. Is this another indication that the palms will be removed? I love gum trees, but once they drop a branch, many in the community demand the offending tree be removed because they are seen as dangerous. Showing one of the paths being worked on. “The two figs are in very poor condition & have not improved over the last ten years. 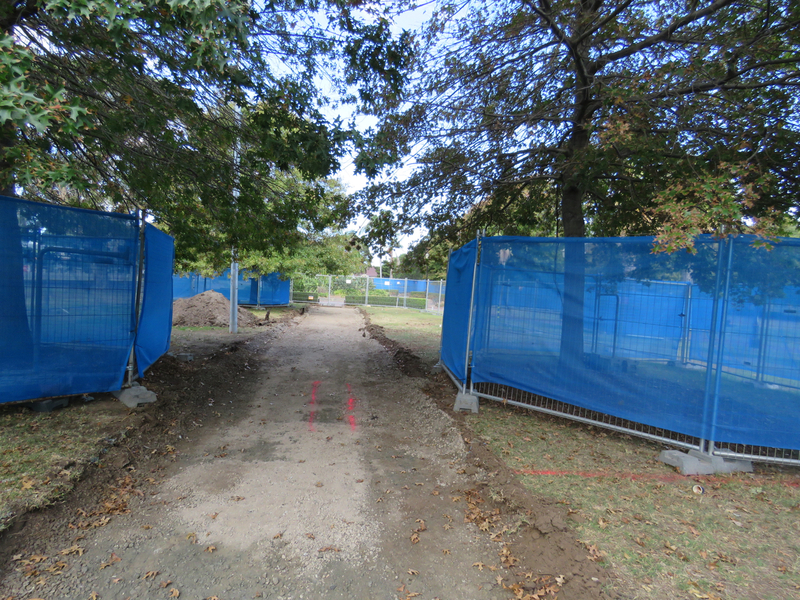 The two water gums are impacted with the pathway reconstruction & widening. I went to have a look at the trees a couple of weekends ago & as far as I could make out, they had all been removed. The areas where work was happening had been fenced off with cyclone fencing & shade cloth making it hard to see what was happening. The only tree I could identify with confidence was the palm in the central rondel & that had already been removed. Prior to amalgamation Marrickville Council used to give 3-weeks for community consultation concerning tree removal. I suspect now the new Inner West Council puts up notification as they start work or very close to the commencement of work. I am not sure yet. Certainly, the way they now do community consultation has changed. They no longer give a period of notification with a deadline to contact the Council. Two trees are being removed to widen the path. I do not know whether the trees were located on one side of the path or one tree on each side. Council does not say where all, but one tree is located. It is worth thinking that all the paths have been like they were in 1943. See an aerial map of Enmore Park taken in 1943 on Marrickville Heritage Society’s blog. See – https://bit.ly/2rwAczp, Why does Council need to widen the paths that have been this way for at least more than 7 decades? The paths are certainly wide enough to give equal access. 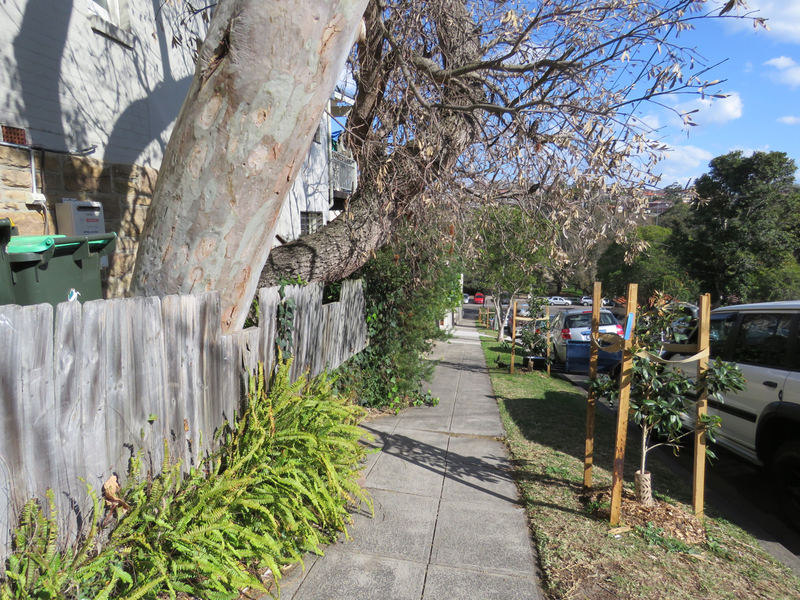 One big Fig was removed from the corner of Llewellyn Street & Enmore Road & its trunk is still rotting slowly away in Steel Park Marrickville South. If I am correct & the two Fig trees to be removed are in the same location, it will mean the corner will be bare indeed. I have reservations about removing very old heritage trees even if they are in poor condition. My reasons are that trees can be helped to recover, whereas our public trees do not get much help in terms of nutrients. They get by with whatever rainfall they can get & nothing else. Enmore Park is heritage-listed. 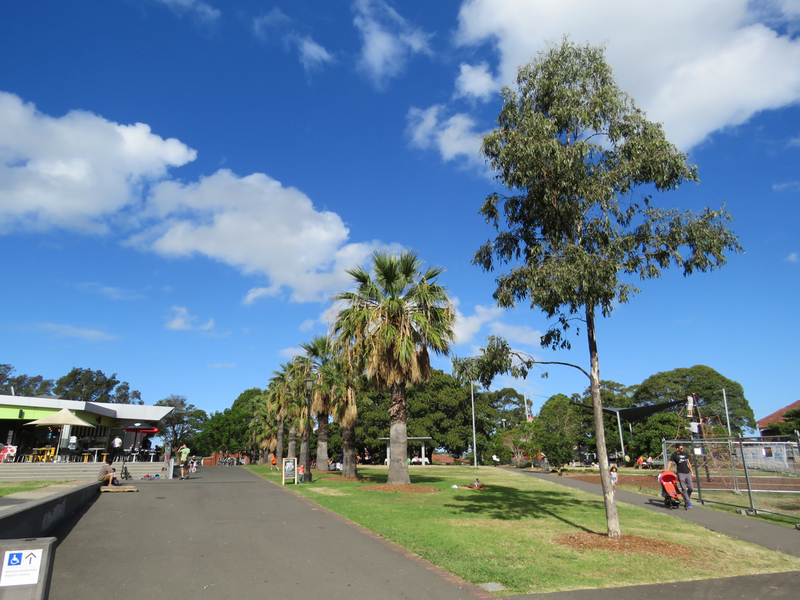 It was the first park to be established in Marrickville municipality, opening in two sections in May 1886 & on October 1893. The Fig trees were likely planted at this time & therefore are heritage items too. I think efforts could have been made to take care of them. However, if Council has been making efforts to improve their health by providing them with water & nutrients, then I will retract these comments & admit my error. Looking at fig trees in Petersham Park I can see the some are in declining health, but these trees still stand proud & everyone who sees them loves them. I suspect it is the same for the Fig trees in Enmore Park as well. I felt sad to see the big healthy palm tree in the central rondel had been removed for what appears to be Council’s design preference & not because the tree was sick, dangerous or inappropriate for the location. To me removing this tree does not make sense considering this tree matched all the other palm trees that run both side of the pathway from Enmore Road to the central rondel & then only on one side due to the building of the pool, which resulted in a loss of more than 50 trees. If you look down this row of trees, they take your eye onwards up Addison Road. To replace with a “larger canopy tree”interrupts these two rows of palm trees, which are a strong feature of this park. I hope the removal of this central palm does not indicate a future plan to remove all the palms. Lastly Council removing 5 trees & replacing with only 4 trees is very disappointing. Showing the central rondel without the palm tree and the row of palm trees that take the eye to Addison Road.